As with every disaster, myths and conspiracy theories occur almost immediately. The Chernobyl nuclear power plant catastrophy occurred more than 30 years ago and therefore numerous myths have since arisen. Some of them have been told to such perfection that one almost cannot tell the difference between truth and myth. Can you? 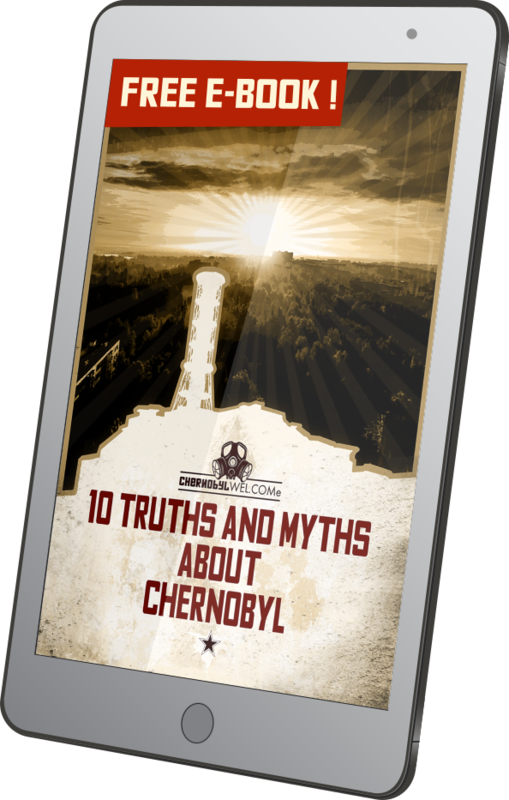 To download ebook "10 Truths and Myths of Chernobyl" please enter your email. By entering email and clicking on download button you subscribe for newsletter. Your email will never be given to third parties or used for marketing purposes of third parties. Is the zone really uninhabited? Why was Pripyat evacuated late? ...The development of the system began in the 1950's during the cold war. The first experimental devices of this type began to be constructed in the 1960's. They were, however, beset by a number of technical problems and were unable to detect any dangers. The first fully functional systems were successfully designed at the end of the 1960's. The first experimental system Duga-1 was constructed near the town Mikolaiv (Миколаїв) in Ukraine and could successfully detect rocket launches from cosmodrome Bajkonur (“Байконур”), over 2500 km away. This system was followed by a second prototype Duga-2, built at the same place. After another success, works on Duga started. It was nicknamed ‘The Moscow Eye’ and was supposed to be the monitoring of space in Europe as well as potential enemy targets in North America. Visit below websites for more interesting information from the zone.